Early bird registration closes tomorrow! 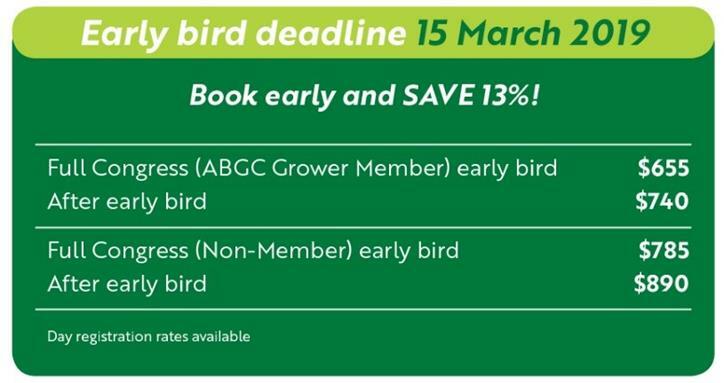 There’s just one day left to register at early bird prices for the 2019 Australian Banana Industry Congress on the Gold Coast. An exciting, two-day program – from May 22-24 – will provide you with the latest industry news, game-changing R&D and plenty of motivation to take back to your farm. If you secure your place by tomorrow (March 15), you’ll not only receive a 13 per cent discount – you’ll also go in the draw to win back your Congress costs. * The winner will be drawn and notified on Monday March 18 – good luck! *T&C – Accommodation is for one room over the three nights of Congress (May 22, 23, and 24) at Royal Pines Resort. Either a Superior View or Mountain View Room at $220/night, or a Spa suite at $295/night. Travel costs are limited to $500. Competition and early bird registration closes midnight March 15 (AEST), with the winner to be drawn on Monday, March 18. Winner will be announced on social media and contacted directly. Avoid disappointment and book your accommodation at our five-star venue when you register! Rooms at Royal Pines Resort are filling up fast, so if you’d like to work and play on site, now’s the perfect time to lock it in. If you’re in town on Wednesday May 22, make sure you sign up for one of the two fantastic Site Tours. Secure your seat on the bus for the day, then catch up with everyone at the Banana Bar to share experiences. Register here. Want to share your science? 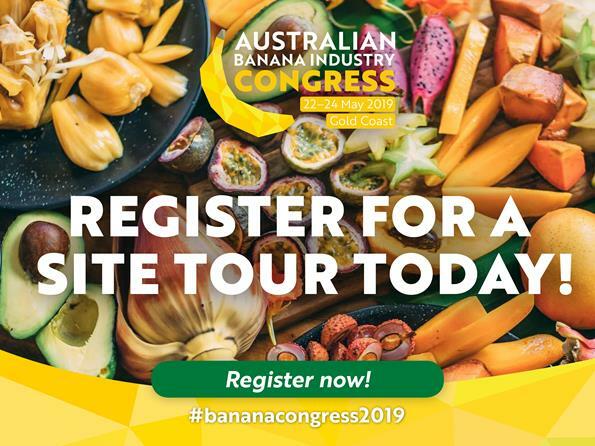 Banana Congress 2019 is currently taking abstract submissions for those who want to share their research with those directly involved in the industry. The ‘Science Sessions’ offer a chance to present a speed talk or a poster display to the banana growers and stakeholders it affects. Submissions close March 29. Details here.